You need to splice your own conveyor belting. 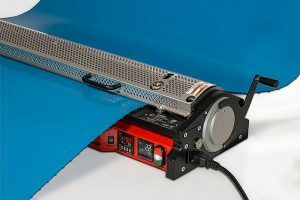 The 100% pure polyurethane belting makes it easier to splice in-house. Other belts use as much as 20% regrind—which weakens the belt when carrying heavy loads. It also makes the belt stronger and easier for splicing. You need the most sanitary conditions possible. Because of its smooth surface, this belt can get very clean—as long as your cleaning process is up to standard. This makes PURclean ideal for food facilities that produce packaged salads, processed vegetables, or bakeries—as well as facilities that process beef, pork, or poultry. The sealed, smooth surface of PURclean prevents bacteria from collecting in the joints and pinch points that you see on other belts. This minimizes contamination—and reduces the chance of bad food lots or product recalls. You want to reduce the time and money you’re spending to clean your belting. 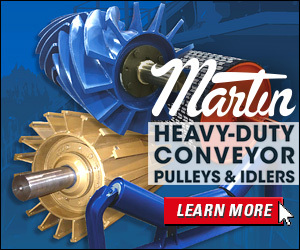 Companies can reduce their sanitation time with this conveyor belting by as much as 30% or more, because you can clean it ‘in-place,’ without removing it from the equipment. Also, the ultra-smooth surface requires less water and chemicals to remove particles and debris, making it more environmentally friendly and less expensive to maintain overall. You need a perfectly seamless surface for your product. 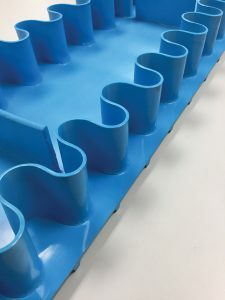 Because the surface of PURclean is exceptionally smooth—without the joints and pinch points of standard modular plastic belting—it prevents your product and packaging from getting snagged and damaged by the belting. Call Dee Holtzman, Product Manager of Lightweight Conveyor Belting at IBT Industrial Solutions, at 913-261-2134 or holtzman@ibtinc.com.